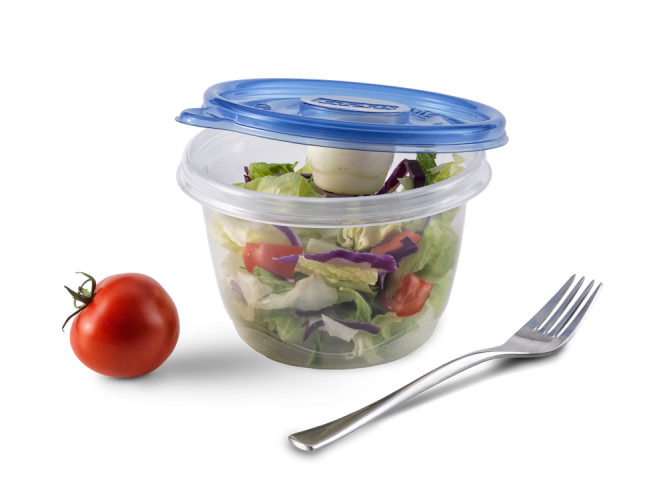 Friday Find ~ Packaging for Salad on the Go! Anyone who knows me, knows I LOVE salads!! Salads are my go to lunch meal. These days, I seem to be on the go a lot and often eat my lunch as I’m waiting for the kids to get out of school. 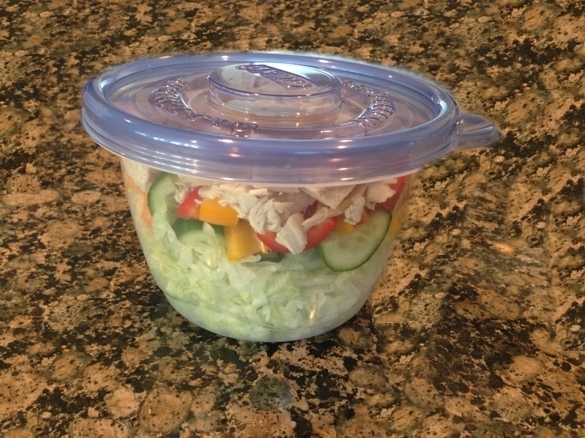 I’ve been packing up salads, but packing the dressing in something that doesn’t leak is a challenge and premixing leaves you with a soggy salad….no thanks! Just this week, I saw these at Walmart…. These are seriously brilliant!!! The smaller container for dressing snaps into the lid. No mess and everything in one container! Your veggies stay nice and crisp and don’t get soggy! 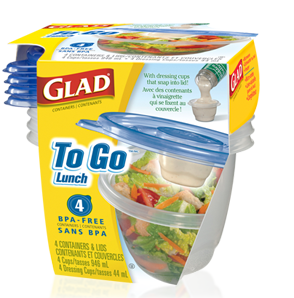 A package of 4 Glad to Go Lunch containers costs $3.77 at Walmart. Money well spent! What a great way to pack a salad in your kids’ lunches too! There is a smaller size available with a small snap in container as well for snacks….carrots and dip, yogurt and granola, hummus and pita chips…the options are endless. I’m going to be looking for those next time I’m at Walmart! 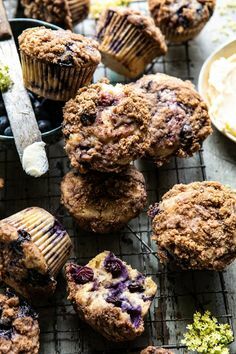 Packing lunches just might be fun…well, ok, that might be pushing it a little! But these containers sure make it easier! My lunch ready for the road!